Organized events are a great opportunity to make new connections. This is a key objective for attendees. Including opportunities to network on the agenda contributes to the overall success of your event. Participants will remember your event as educational, fun and most importantly provided value to them with connections that live on beyond the event itself. Look for ways to build in specific networking activities during your event to help your attendees get the most out of your event. Traditional networking usually involves some kind of social dinner/drinks activity at the beginning or end of the event. Attendees taking a random walk in a crowded space may not meet the folks that could be most helpful to them, not to mention getting stuck talking to the wrong people! No one wants to appear rude in a fun, social setting. Some attendees may not feel comfortable with it. Some may feel frenzied and overwhelmed. Or, attendees may simply not want to spend all their time networking at a social function. So when is enough? Other styles of networking involve team activities or other group gamifications. However, these scenarios limit attendees to only their immediate team for the entire activity. This reduces access to other key people with whom an attendee may want to connect. A new alternative beyond traditional options is speed networking. With similarities to a speed dating format, speed networking allows attendees to meet a lot of people in a very short time period. This can be especially helpful if the event has a full agenda with limited time available for making connections. This approach is an additional opportunity beyond the dinner/drink social style activities. Speed networking is a structured process with facilitators. The “speed” element brings in a fun and efficient aspect to the event. Networkers have a few minutes to connect one-on-one. Then it’s on to the next person. This format has the added benefit that if you’re not connecting well with someone, or you discover they are not the right person to connect with, it’s very easy to move to the next conversation. Each round is only a few minutes long. There is no need to appear rude to move onto a new conversation. It’s fast and efficient. After the session, attendees can expand the connections from the speed networking session during the rest of the event. This is a good reason to include speed networking early in your agenda. Technology can further enhance the success of any speed networking activity. One example is a company that goes by the same name, Speed Networking. They offer a full-service speed networking solution which includes matching software that minimizes situations like getting stuck talking to the wrong folks. They also measure trackable results and an ROI analysis so you can ensure you’re adding tangible value to your events. Then, to ensure attendees take full advantage of the session, the event planner should remind attendees in advance to bring business cards and have an elevator pitch ready to go regarding who they are and what they’re interested in. Ensuring your event generates great connections is easy. Build opportunities into your agenda to network, especially in the early stages. 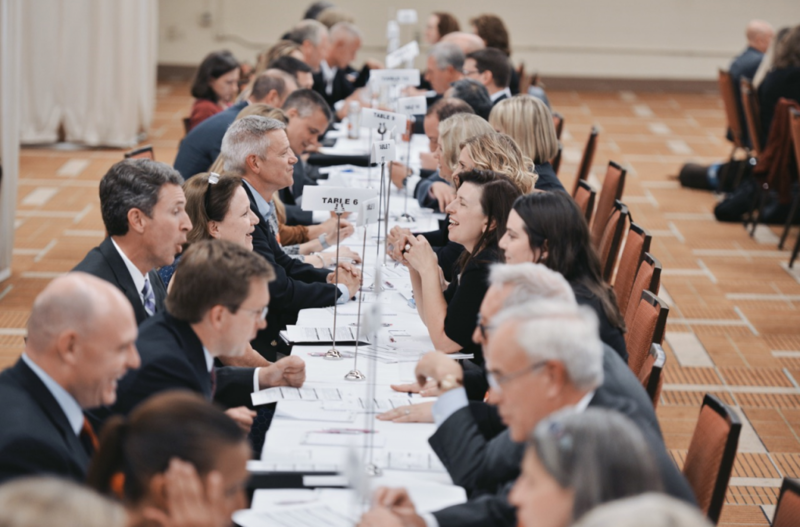 Help your attendees by providing fast and efficient methods to network such as speed networking. Leverage technology to make it effective and provide you the feedback you need to keep improving your events! As an event planner, knowing what options are available to you is key. If you would like to hear about other topics that could help your event planning success, please let us know at customersuccess@clearevent.com.